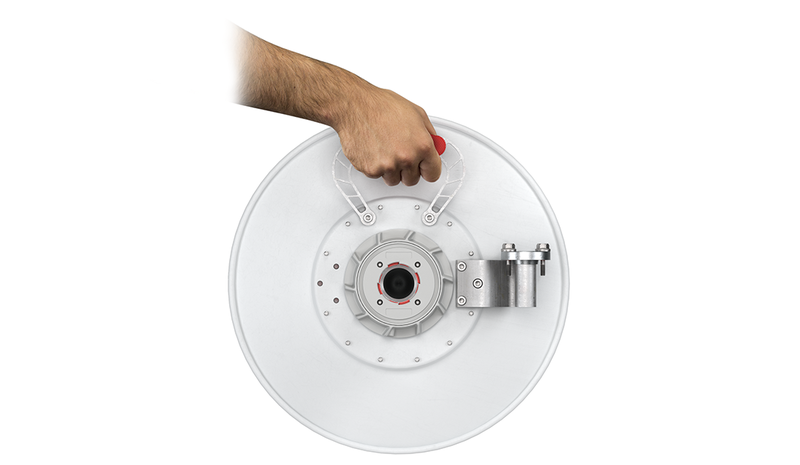 High-gain parabolic dish antennas with a TwistPort connector and an innovative mount. 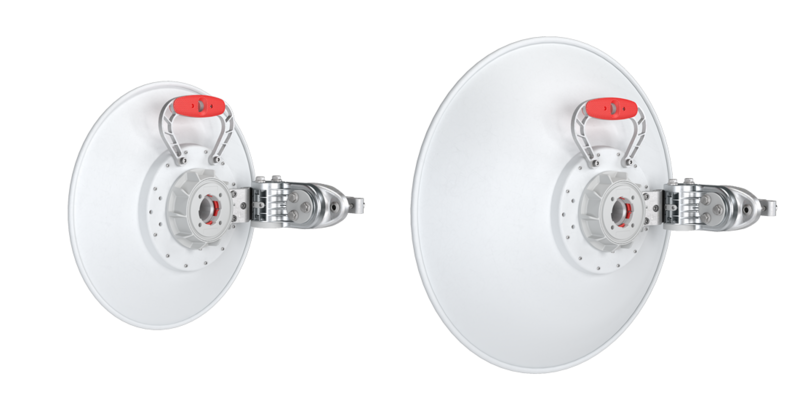 UltraDish TP Antennas are high-gain directional parabolic antennas with a lossless TwistPort connector. The antennas are highly directional and have suppressed side lobes for ultimate performance. UltraDish TP antennas have suppressed side lobe radiation that reduces interference and enables installation in areas with high noise levels. The gain of UltraDish TP Antennas is achieved by focusing the signal delivered via the TwistPortTM waveguide. Starting with version "V2", you can utilize all benefits of TwistPortTM eco-system and superb performance of TP antennas in wideband. TwistPortTM Adaptors V2 cover ultra-wideband spectrum: 5180-6400 MHz! TwistPort connector is a quick-locking virtually lossless waveguide port that connects the radio with the antenna. 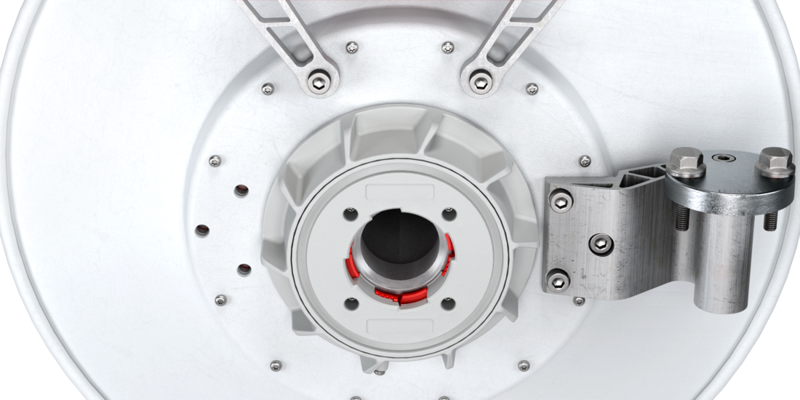 The TwistPort connector is our design and sets a new standard for outdoor wireless equipment in terms of performance, scalability, ease of use and deployment simplicity. TwistPort is the new definition of “easy”. By integrating the mechanical and the RF connection into the same structure, the connection of the radio to the antenna is brilliantly simple - “twist and lock” - and can be done with one hand! TwistPort connectors are virtually lossless: there are no coaxial RF connectors or RF cables that cause significant signal loss. In comparison to widely used coaxial cables and connectors, the loss on TwistPort is almost unmeasurable. UltraDish TP Antennas can be used with any radio with a TwistPortTM interface or with a variety of third-party radios connected through a TwistPortTM Adaptor. 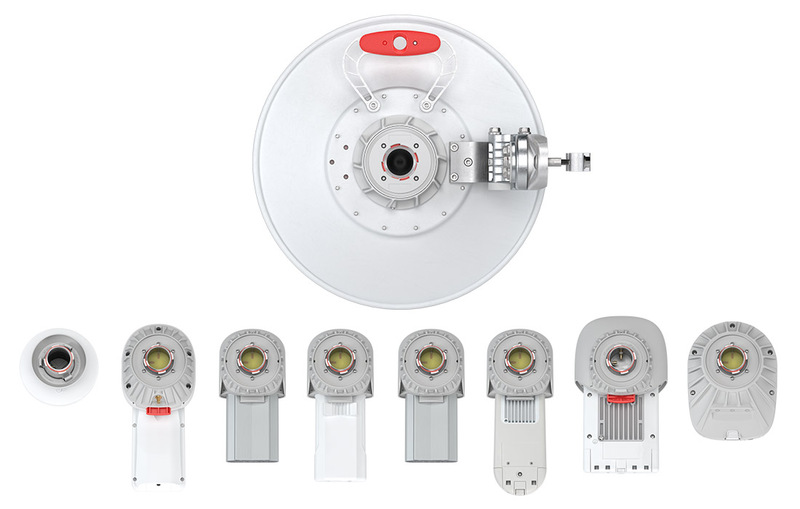 UltraDish TP Antennas features a new innovative mounting system. The mount is separated from the antenna which makes the antenna installation and adjustment easy and quick. First install the bracket on the pole. Two sets of pole screws for different pole diameters are included. The pole bracket is reversible: it can be mounted on the left or the right side of the antenna. Simply slide the antenna in the bracket and adjust the elevation and the azimuth. Tighten the screws to finish the installation. Only one tool is needed for the entire installation.